For those who have planned to visit the city of Yogyakarta, the beautiful and pleasant place. Of course, it takes a long time to search about various accommodations and looking for references to various transportation, lodging to tourist sites. 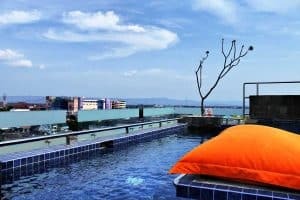 Complete facilities as well as friendly rates, there are many educational venues that can be used as vacation spots, one of which you also have to choose accommodation at affordable rates. The things you may concern when you live in Yogyakarta Indonesia. The Paris B & B house is famous for its unique interior, which is furnished with ancient furniture that seems to bring visitors to another time dimension. Paris houses are easy to find, the location is near Parangtritis. From the beach, you just take a right turn and find this beautiful house. There are only 4 rooms they rent, so you will get special service from their staff. Overnight in a place with European nuances like this will certainly be an interesting experience when you are on vacation in Yogyakarta. The location is on Jalan Parangtritis Km 8.4, Sewon Bantul, Yogyakarta, rates start from the price of Rp. 400,000 nights. The reasons why you must visit Yogyakarta. 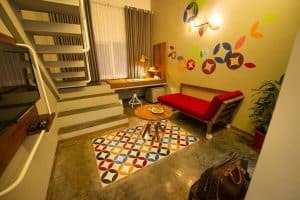 The characteristic of Lokal Hotel is its minimalist design with bright colors that steal attention. White brick walls are the dominant element here, in addition to the colorful with Kawung batik patterns that adorn the walls and floors. Staying at Lokal Hotel means that you have to be ready with your camera all the time, all the angles are very Instagram-material both in the room and in the general area. Staying at the Lokal means that you will also get warm service from their staff, from the start the reservation arrived at check out. For you music lovers, Lokal Hotel also provides speakers with an iPhone 5/6 dock in each room. Located on Jalan Jembatan Merah No. 104C, Depok, Yogyakarta, prices start from 400 thousand per night. The next best hotel in Yogyakarta with affordable prices is Prawirotaman Greenhost. Carrying eco-friendly designs, in this hotel you will be surrounded by various hydroponic plants on the rooftop garden. You will also feel the fresh air at any corner of this hotel. The rooms are spacious with wood-based furniture, as well as plaster wall accents that give a slight industrial impression. The toiletries used are also environmentally friendly like soap from lemongrass. Three important elements in this hotel are wood, plants and concrete walls that look harmonious in the pool area. The location is on Prawirotaman II road No. 629, Mergangsan, Yogyakarta, the applicable tariff starts from 400 thousand per night. Hence the souvenirs that must buy in Yogyakarta. Adhistana Hotel is located on Jalan Prawirotaman II, the atmosphere is a little quieter. On this road, you will find a traditional market that is crowded with local residents in the morning. The artistic exterior of the hotel will welcome you with a unique window leaf arrangement. Adhistana also has a place to eat, namely Lawas Kafe which has an open terrace and striking graffiti images in the side area of the stairs leading to the second floor. 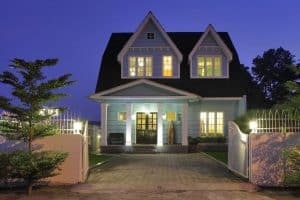 The homey atmosphere is very thick in a place with a blend of urban and traditional styles. You can choose to stay in a dorm or in a standard hotel room. Cleanliness and service here need not be doubted. In terms of location, staying at Adhistana is also beneficial, because it is very strategic to get around Jogja. Just walking for 15 minutes, you have arrived at Malioboro. Located on Prawirotaman II No 613 road, Mergangsan Yogyakarta with rates equal to around 400 thousand per night. 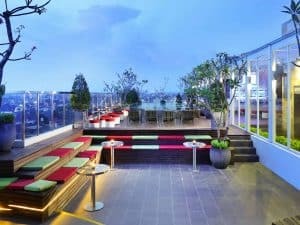 Staying at The Edelweiss Hotel allows you to see the beauty of the city of Yogyakarta from a height, namely from their rooftop pool and patio. The location of this hotel is very strategic, namely the northern part of the city of Yogyakarta. As a 3-star hotel, The Edelweiss Hotel presents cleanliness that guests always expect and modern and simple design. The reference best nightlife in Yogyakarta you can visit. The position of The Edelweiss is also close to many entertainment centers, such as Saphir Square, Affandi Museum, and Galleria Mall. You can visit many places in Yogyakarta while enjoying the complete facilities provided by The Edelweiss Hotel. The location is on Jalan Gejayan 17C Gondokusuman, Yogyakarta, at a price of 300 thousand a night. The best hotel in Yogyakarta with affordable prices, namely the Grand Palace Hotel Yogyakarta. Grand Palace Hotel Yogyakarta was inspired by the palace buildings where Roman kings lived, complete with pillars and statues of the goddess. Not only beautiful from the outside, but the interior of this 3-star hotel is also no less charming. Pleasant layout, spacious rooms, good service, cleanliness, and complete facilities. All of this makes the Grand Palace Hotel suitable for you who go on vacation with family and children. Located on the Mangkuyudan No. 32 Mantrijeron Yogyakarta road at a price of 300 thousand per night. Ibis Style Yogyakarta is located in the very strategic Malioboro area. Having a big name Ibis, this hotel gives the impression of being fresh and young at heart. The concept that carries a modern pop style is suitable for both business and leisure. Located in the city center, staying here means that you can easily enjoy the fun of riding a gig at night around the city of Yogyakarta. Yogyakarta Palace and various other historical places are only 5 minutes away. The location is on Dagen, Yogyakarta, with a price of around 450 thousand per night. Hence the famous things in Yogyakarta you have to know. An inn with a comfortable concept comes with brown dominance. Pawon Cokelat Guesthouse was a small shop that sells chocolate cakes. The combination of vintage, industrial and natural style at Pawon Cokelat provides an atmosphere that will make guests feel at home. Surrounded by various delicious food places, as well as convenience for shopping and sightseeing, you certainly can’t wait to immediately explore the surrounding area. The location is on the road Sosrowijayan Wetan Gg 1 no 102, Malioboro, Yogyakarta with the price of an overnight stay of 250 thousand. 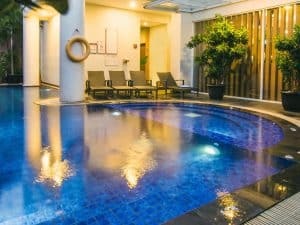 Next is the best in Yogyakarta hotel with affordable prices namely Sahid Rich Jogja Hotel. Located on Jalan Magelang Km. 6 No. 18, District of Sleman, Yogyakarta. Offering this 4-star hotel provides international standard facilities, such as a spa, fitness center, swimming pool, restaurant with buffets and more. Located in the heart of Yogyakarta City, one of the advantages is direct access to the biggest and most famous mall, The Jogja City Mall. The rate for this hotel is Rp. 480 thousand. The classic modern theme at Sahid Rich Jogja will make you feel like you are at home. A spacious and comfortable bed and a varied choice of breakfast will make you feel at home staying at this place. The popular food in Yogyakarta you must try. Grand Tjokro provides maximum facilities at the best prices. If you plan to take children on your next vacation, they can enjoy karaoke, table tennis, a swimming pool specifically for children, available bicycle and barbeque rentals for families. There is also a bar that serves a variety of drinks and there is a babysitter service for those who need it, as well as a shop that sells various items that you need. Located on Gejayan street No. 37 Yogyakarta with a price of Rp. 390 thousand per night. POP! Gandekan Hotel, with a unique and colorful concept, located on Gandekan street No. 92, Yogyakarta. This hotel is suitable for those of you who come to Yogyakarta for shopping, culinary tours or just sightseeing for Rp. 280 thousands of nights. Tune Hotel Yogyakarta, a minimalist and futuristic concept will be immediately visible when you are in the hotel. Located on Gedongkuning Selatan street No. 118 Kotagede, with a nightly tariff of Rp. 350 thousand. An amazing history of Malioboro Yogyakarta you must know. The Phoenix Hotel Yogyakarta, with an architectural concept that was influenced by the colonial era. Located in the first-class area, precisely in the center of Yogyakarta City. Exactly on Jalan Jend Sudirman No. 9, Yogyakarta at a price of Rp. 750 thousand per night. 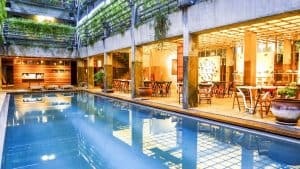 Here are some examples of the best hotels in Yogyakarta at an affordable price. Hopefully, it can be used as your recommendation for staying in Yogyakarta.